Software designed for your everyday use, and perfectly suited to your needs. Start the Janetter experience right now. Choose from 27 standard themes, or create your own custom theme. The possibilities are endless. 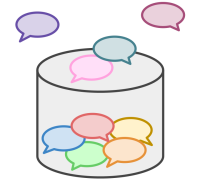 Supports User Stream and Streaming API: You can read your friends’ Tweets in real time. 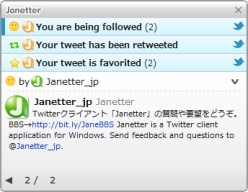 As a Windows native application, Janetter provides effortless performance. Timeline rendering uses "Chromium" the same renderer used in "Google Chrome". (WebKit is used in Mac version) It is also easily and quickly customizable in HTML5+CSS3. 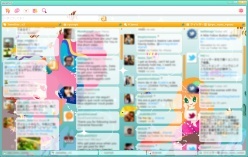 You can easily use several Twitter accounts at the same time. Multiple time-lines are displayed on one screen, enabling you to search more information in a shorter period of time. 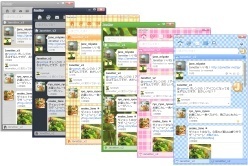 Janetter makes it easy to follow conversations. 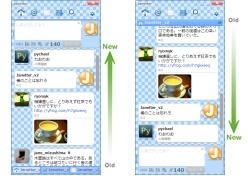 Conversation flow is shown below tweets. 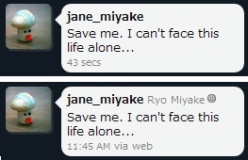 By clicking ▼, the conversation flow appears. New Tweets are indicated by a mark in the corner of your display. 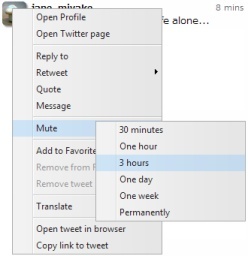 No more missing Tweets or direct messages! Know immediately whenever you have been followed, favorited, or retweeted by others. Display thumbnails for the tweets with photos. Images created with "TwitPic" "yfrog" "Lockerz" and "Instagram" are displayed as thumbnails below each tweet. Images can be enlarged by clicking them. Freely change your wallpaper to your favorite photos to see them whenever you see your page. Change the font and size to whatever fits you and your screen best. 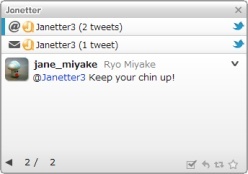 Change the arrangement of your tweets by username, client name, or timestamp. Now you can read time-lines chronologically in a natural way. Specific users can be hidden either permanently or temporarily. 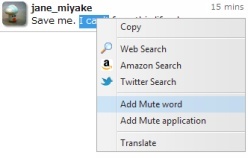 Hide tweets that contain specific words or ones posted by specific applications. 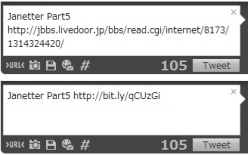 URLs included in tweets can be shortened using "bit.ly" or "goo.gl". Now you can Tweet images from "yfrog", "TwitPic", "img.ly" or "Twitter Photo". 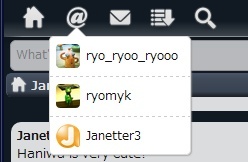 By typing "@" or "#" within the tweet input window, suggestions for recently typed user names or hashtags will appear. Read un-read Tweets in order from the last time you logged out. All Tweets are saved locally and allow you to read older tweets. 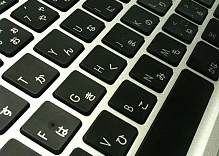 Easily translate a selection by simply pressing Ctrl(⌘) while the text is highlighted. Fully-controllable via keyboard shortcuts, such as using j and k to scroll up and down your tweets. Copyright © 2010-2014 Jane, Inc. All Rights Reserved.